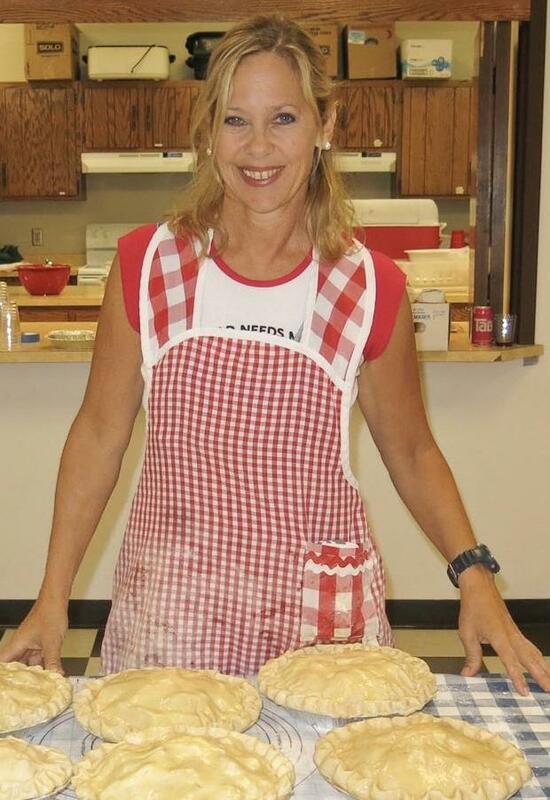 Commentator Beth Howard says there is no need to worry about making the "perfect" pie. This hyperbole and overuse of superlatives like “perfect” and “best” is as detrimental to society as fake news, spreading fear and panic among would-be bakers. This kind of fear-mongering sends those less confident in their culinary skills running out for pre-packaged pie dough or store-bought pies rather than risk perceived failure. Adding to pie-making fears is that, in America, we have a tendency to turn everything into a competition. We’ve made politics a team sport. We brag about our kids being gifted and getting into AP classes. We build a bigger house or buy a fancier car to flaunt our financial success. And we have cooking shows and magazine articles insisting we bake perfect show-stopping pies—complicated with extra ingredients and added steps—in order to impress our dinner guests. We don’t have to subscribe to this pressure—and we shouldn’t—because there is no such thing as a perfect pie or a best recipe. Regardless of what Martha Stewart says, pie is not about perfection or precision. Pie is not about competition—it’s not a beauty contest. Pie—homemade pie—is about making something yourself, with your own two hands, putting your heart and soul, your personality and your creativity into it, and sharing that buttery goodness with others. I am not condemning store-bought pie—we can’t live without pie—but I am an advocate for making your own pie instead of buying one, because making a pie from scratch has many added benefits. Think about it: Aren’t you more drawn to a messy lopsided pie with juice oozing out through the top crust than a pie that been pressed into uniformity by a machine? When you make pie by hand—rubbing butter and flour between your fingers to make the dough, cracking eggs, and stirring cinnamon into pumpkin puree, the tactile experience engages your senses, translating into a feeling of positive wellbeing. The rhythm of rolling out piecrusts and peeling apples can be meditative and calming—which can help ease the stress of even the most dreaded of family gatherings. The smell of pies baking will fill your home with fragrant spices that linger so your company won’t even notice if you didn’t finish cleaning the house. And when you see your finished pies cooling on the windowsill you will be invigorated by the satisfaction that you made them yourself, knowing that you added the invisible-yet-essential ingredient: love. If you’re truly afraid of making make your own pie, consider the history of this iconic American dish. The pilgrims made pie. So did the pioneers. They didn’t have electric ovens or refrigerators. They didn’t even have houses! They were making their pies while traveling through uncharted territory in covered wagons. And they certainly didn’t have grocery stores to run to for pre-made dough. Yet they kept calm and baked on—and used whatever ingredients they could scrape together. Our ancestors had many things to fear, but making a so-called perfect pie was not one of them! Homemade pie is what this country is founded on, from sharing that first Thanksgiving feast with Native Americans to nourishing the settlers as they fanned out across the west. A homemade pie isn’t about whose pie tastes better or whose crust is flakier or about following some fussy recipe from a celebrity chef. It’s about people gathering around the table together, setting differences aside, and uniting—even if just until the last crumb has been licked off the plate. In short, pie is a metaphor for peace, which is why making pie to share with others is something we should be championing every day, not just on late-November holidays. So throw out your notions of perfection, face your fear of failure, keep it simple by sticking to basic recipes, and bake with confidence. Because no matter how your Thanksgiving pies turn out, your guests are sure to be dazzled. I recently moved to a farm in Southeast Iowa, where I'm surrounded by corn, cows and, now, snow. That's quite a change for a former city girl. I work from home so I don't have many opportunities to get integrated into my new community. I tell myself, you want opportunities? You create them. I hate crowds. I avoid rock concerts and rallies. I shy away from situations or gatherings that might put me in harm’s way. Especially now, in today’s increasingly violent, gun-toting, backpack-bombing atmosphere, previously safe situations like going to an airport or a nightclub or a marathon have become tenuous, even terrifying. But when the Women’s March on Washington was announced, I ran straight to my computer and booked my flight to DC.